Central Division: Red Deer Rampage, Olds Mavericks, Rockyview Silvertips, and the Calgary Chill. South Division: Calgary Mountaineers, Calgary Shamrocks, Okotoks Marauders, and the Lethbridge Barracudas. Player Ages: 17-21, Most players are 18, 19, 20, and 21. Prior to February 12 of each year, the Red Deer Rampage, Olds Mavericks, Rockyview Silvertips, Calgary Chill, Calgary Mountaineers, Calgary Shamrocks and Okotoks Marauders hold a draft of players registered to Tier II in the prior season. The Rampage and Mavericks draft five (5) Tier II players from, Olds Stingers Tier II, Yetti Tier II, and Renegades Tier II regardless if a player from this list of teams has moved to another part of the Province. The Silvertips, Chill, Shamrocks, Mountaineers and Marauders draft Tier II players from the Rockyview Rage Tier II, Calgary Tier II Wranglers, Calgary Sabrecats Tier II, Strathmore Venom Tier II, High River Heat Tier II, and the Calgary Tier II Axemen. Prior to February 12 of each year, the Edmonton Warriors, Fort Saskatchewan Rebels, Sherwood Park Outlaws and St. Albert Crude have a twenty (20) round robin draft of Alberta Graduating Midgets. The four teams draft Alberta Graduating Midgets from Blues, Beaumont, Fort Saskatchewan, Leduc, Parkland, Rams, Titans, Warriors, Westlock, Wizards, Grande Prairie, Lakeland, Lloydminster, Vermilion and Wainwright Minor Lacrosse Associations. Once drafted, a player is notified by the team who drafted them. Players drafted to one of these teams must report to the team who drafted them and may only attend the tryouts for the team who drafted them. Prior to February 12, the Red Deer Rampage and Olds Mavericks draft fifteen (15) Alberta Graduating Midgets from Blackfalds, Innisfail, Kneehills, Lacoka, Olds, Red Deer, Stettler and Sylvan Lake Minor Lacrosse Associations. Prior to February 12 of each year, the Rockyview Silvertips, Calgary Chill, Calgary Jr. B Mountaineers, Calgary Shamrocks, and Okotoks Marauders have a (fifteen (15) round robin draft of Alberta Graduating Midgets. The five teams draft Graduating Midgets from the Calgary Axemen, High River Heat, Calgary Hornets, Calgary Knights, Okotoks Raiders, Rockyview Rage, Calgary Sabrecats and Strathmore Venom Minor Lacrosse Associations. Once drafted, a player is notified by the team who drafted them. Players drafted to one of these teams must report to the team who drafted them and may only attend the tryouts for the team who drafted them. 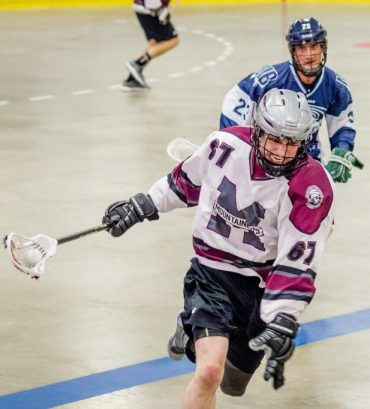 Prior to February 12 of each year, the Lethbridge Barracudas have a twenty (20) round draft of Graduating Midgets from Brooks, Claresholm, Lethbridge and Medicine Hat Minor Lacrosse Associations.Once drafted, a player is notified by the team. Players drafted to this team must report to the team and may only attend the tryouts of this team. Each Jr. B Tier I team can protect up to 35 players. This Protected List includes the players on the team‘s previous season roster (maximum 25 players) who are still Junior eligible, plus their drafted players and selected Jr. Aged players to fill the list to a maximum of 35. If a player is listed on a team’s Protected List, the player cannot play for another Jr. B Tier I team in Alberta. A player can remain on a Jr. B Tier I team‘s Protected List for all five (5) years of their Junior eligibility unless released, traded, or not registered to the team‘ s roster for two (2) consecutive years. 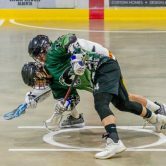 The Jr. B Tier I 35 Man Protected List is posted on the RMLL website www.rockymountainlax.com The 35 Man Protected List increases to 45 each year from the Jr. B Tier I draft date through April 10. Must report to the Jr. B Tier I team who drafted them if the player remains on the 35 Man Protected List of that Jr. B Tier I team. A player can be drafted to both a Jr. A team and Jr. B Tier I team. In this circumstance, the player must report to both teams and attend the tryouts of both teams. Any player not on a Jr. B Tier I 35 (or 45) Man Protected List is a Jr. B Tier I Free Agent. All players attending Jr. B Tier I tryouts must be registered with a Club with a Tier II and/or Tier III team. Out of Province Players – Must have an approved CLA Transfer before registering with an Alberta Club/Team.